When the thoroughly poised Charlotte Worthington requests that Miss Thorn and her cat Fortune find her a position, she never dreams the savvy employment agency owner would reunite her with Matthew Bateman, her brother’s former bodyguard. Matthew is about to be knighted for an act of valor, and he and his sisters could use some polishing if they’re to enter Society after his elevation. Yet how can Charlotte maintain her calm, cool demeanor as their sponsor when she harbors a secret love for him? Matthew Bateman cannot forget the beauty who is miles out of his league. Once a boxer called the Beast of Birmingham, Matthew would like nothing better than to be worthy of Charlotte’s hand. As old enemies and new ones attempt to bring him low, can Matthew prove to Charlotte that their love is meant to be? I love stories with a "Beauty and the Beast" theme going on! The previous book in the series hinted at Charlotte and Matthew's regard for each other, so I was eagerly anticipating their story, and it did not disappoint. At the beginning of the story they are trying to avoid each other because they know their feelings could not lead to anything. Charlotte is so lovely with his sisters as a mentor and friend, and it was fun to see the different personalities of the girls. Matthew and Charlotte naturally warm up to each other despite their misgivings, and become a team as they work together to face a variety of obstacles and struggles. They have great chemistry and there are a few different plot threads that made the story dynamic and well-paced. 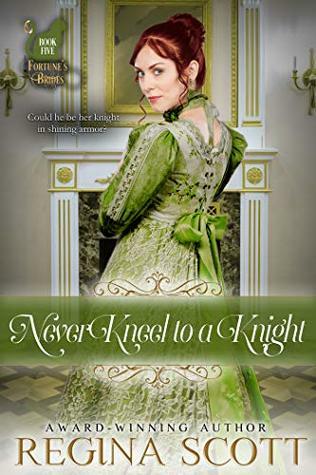 Loved this escape into Regency England once again!